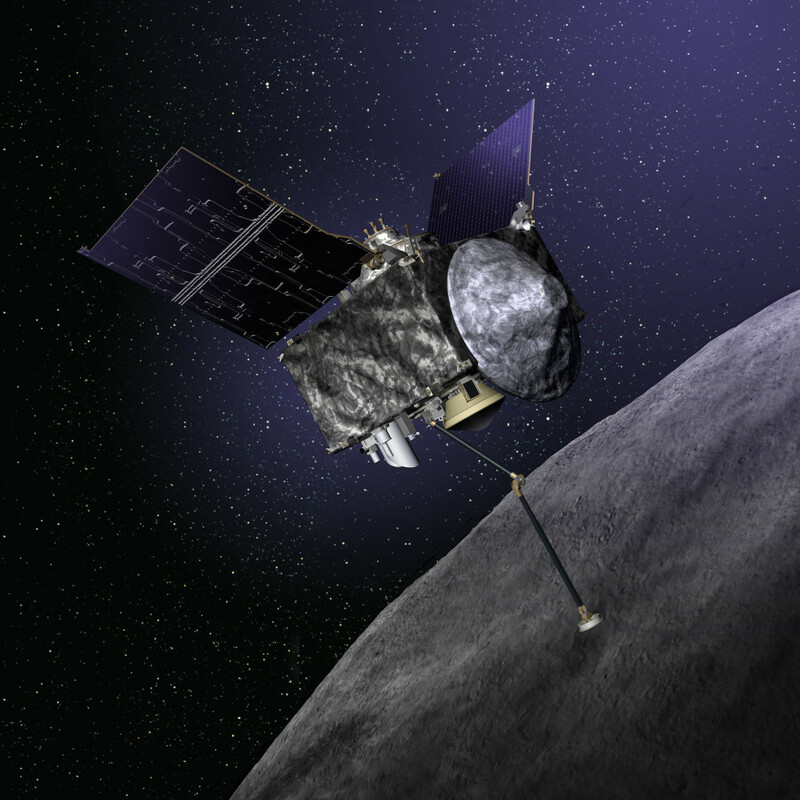 Launching in 2016, OSIRIS-REx will be NASA’s first asteroid sample return mission. Richmond, BC. July 17, 2014 – MacDonald, Dettwiler and Associates Ltd. (MDA) will build an instrument that will be used to map the surface of an asteroid for NASA’s Origins-Spectral Interpretation Resource Identification Security Regolith Explorer (OSIRIS-REx) mission. The OSIRIS-REx spacecraft is scheduled to launch in the Fall of 2016. It will rendezvous with an asteroid called Bennu in 2018 and spend a year of reconnaissance at the asteroid before collecting a surface sample of at least 2 ounces (60 grams) and returning it to Earth for scientists to study in 2023. Lockheed Martin Space Systems in Denver will build the spacecraft, the sampling and Earth-return system, and will perform spacecraft mission operations. MDA will build a laser-based instrument that will be used for the six-month task of mapping the surface of the 1,760-foot (500-meter) wide asteroid, creating a high resolution 3D model of its surface. The OSIRIS-REx mission goal is to address basic questions about the composition of the very early solar system, the source of organic materials and water that made life possible on Earth, and to better predict the orbits of asteroids that represent collision threats to the Earth. The CA$6.6 million contract for the mapping instrument came from the Canadian Space Agency (CSA). It’s a follow-on contract with a total value to-date of $25 million. The CSA is supporting a Canadian science team and the development of the science instrument for the mission. NASA’s Goddard Space Flight Center in Greenbelt, Maryland will provide overall mission management, systems engineering, and safety and mission assurance for OSIRIS-REx. The University of Arizona leads the effort and provides the camera system and science processing and operations center. OSIRIS-REx is the third mission in NASA’s New Frontiers Program, which is managed by the Marshall Spaceflight Center.